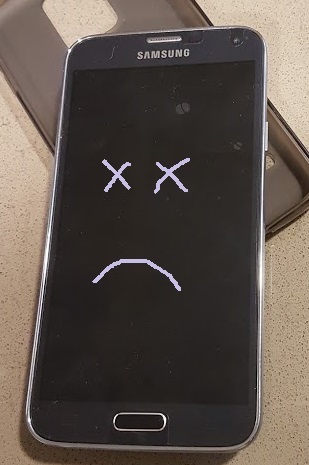 My long-time mobile phone died in its sleep Sunday. It left a gaping hole in my daily routine. By ten am Monday it was evident this hole had to be filled. I couldn’t keep reaching for a phone that wasn’t there. I steeled myself to head back out on the market, and ended up in the mall. A nice young employee started chatting me up, and informed me that I had insurance coverage for exactly this sort of situation. The catch was that, as with anything worthwhile, it would take some patience. It waited two long days. I paced the house. I sat in isolation at my laptop away from the TV, dinner table, or bathroom – unable to multitask. When the new phone arrived it was awkward at first as I figured out how to make it work for me. I reinstalled my apps. I chose a new ring tone. My new phone and I had eight good hours before it all fell apart. The phone suggested an update, and I just hit yes not thinking an update could come between my technology and I in any serious way. After the update my new phone got stuck in an endless loop of powering off and restarting. I eventually managed to turn the power off so I could get some sleep. I hoped when morning came this would all have been a bad dream. In the morning I turned my phone on and logged into Facebook. We had another good four hours until the update loop returned. I decided the phone and I needed help, so I went back to the Telus Store. 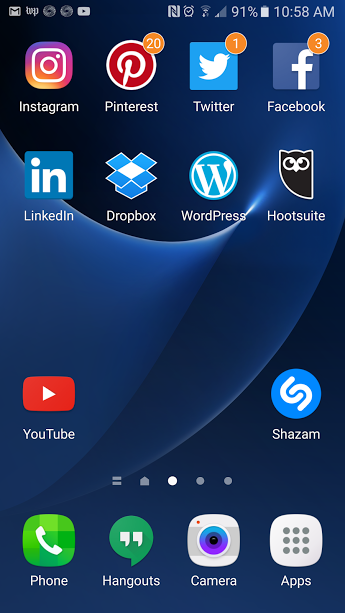 Another young employee told me I had too many apps running in the background. Closing them seemed to help, and I left believing the issue was that I had been selfishly asking too much of the phone’s memory. I could learn to close apps. Right? This lasted until bedtime. Then the update loop came back. This time was worse. Not only did it start and restart on an endless loop, it also told me my pin number was incorrect and locked me out. I had to leave it on the coffee table downstairs and go to bed for a second fitful night of sleep. Again I got up bright and early. Showered. Made myself and Americano. Answered some emails on my laptop. Made some toast. Browsed Pinterest. Had a second Americano. Tweeted about Trump. But then, walking down the hallway to grab a granola bar I found myself reaching into my pocket for my phone and was forced to admit that I couldn’t pretend this problem away. With sorrow in my heart, I did my hair, got dressed, and went to the mall. I calmly demanded a new phone, explaining that I couldn’t live without one and this phone I had now was unreliable and dysfunctional. He said he couldn’t repair it because it was a third party phone. I begged for a replacement. He said that wasn’t allowed and would get us both into trouble. I begged for a loaner just to get me through the weekend. He said he didn’t have authorization to do that for me. Finally I pleaded with him to end my old phone contract a week early, and just give me whatever was in store. He waived the week, and brought me a new, healthy phone. I have a new phone now. And it has a pretty protective cover with blue flowers. My old phone didn’t have that. And my rebound phone sure didn’t. All my apps are back and functioning. I feel great. I feel connected in a way I haven’t felt in 5 days. There truly is a light at the end of every tunnel.